Home Pageantry GET & IN REGISTER: First Class Beauty Queen Set To Handover As Face Of Unity Nigeria Pageant Flags Off Edition! 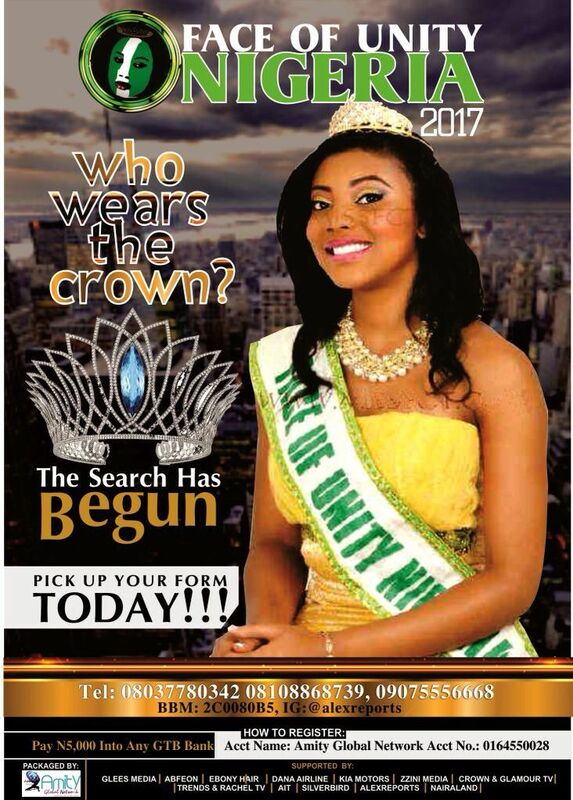 GET & IN REGISTER: First Class Beauty Queen Set To Handover As Face Of Unity Nigeria Pageant Flags Off Edition! - The Search Is For Real‎!! - The Countdown Have started!!! 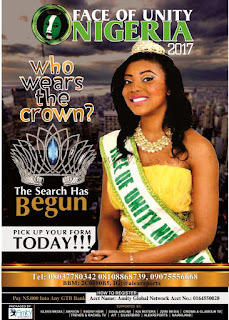 "FACE OF UNITY NIGERIA ‎"
The most anticipated and Nigeria's famous unity contest to stage the 2017 edition after a long reign of Nigeria's born british Beauty Queen Chichi Mbagwu who eventually bagged first class in UK university. The intelligent model spearheaded " Uniting Nigerians in Diasporal Compaign" that was partnered with NTA International UK and FBI Africa Magazine. Amongst her heaps of uncelebrated benefits, is a plot of Land in the capital city of Nigeria - Abuja. ....The Search Has Indeed Begun! ..... Forms Are Already Selling‎!!! #Inquiries: 08037780342, ‎0810 886 8739, 09075556668. BBM: 2C0080B5. F• U• N‎...celebrating the historical unity in diversity of the Nigerian Nation! !